CFL Football Frenzy is an exciting arcade football shootout style game developed for iPhone and iPad for ages 8-12. Built within the world of the Canadian Football League, authentic 3 down action, Canadian game play with a wider field, waggles and Rouges - the game goes beyond a simply pick-up and play experience. 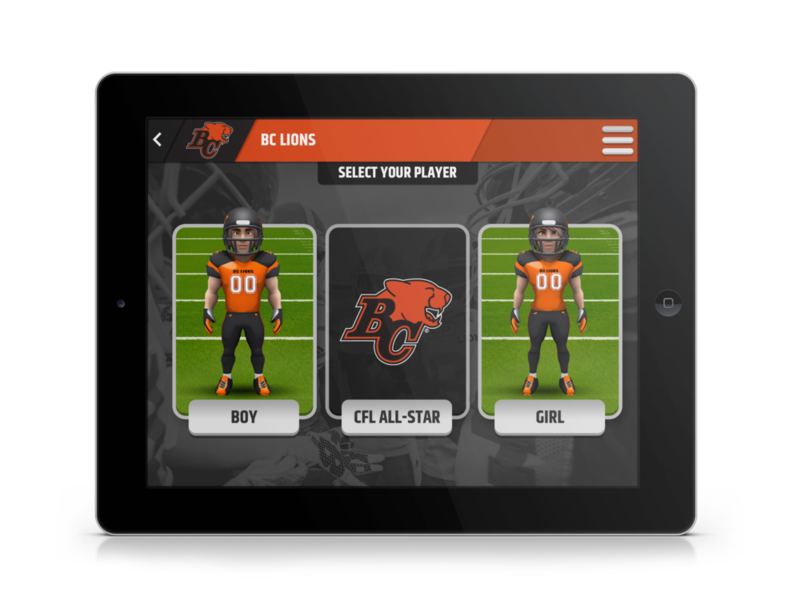 Focusing on real depth user interaction, providing players the ability to truly create and customize their own rookie and interact with CFL teams in quick play action. Gameplay is extended through card pack collection, explosive power-ups and surprising bonus uniform offerings - and in season mode, players can lead their team to a Grey Cup victory.